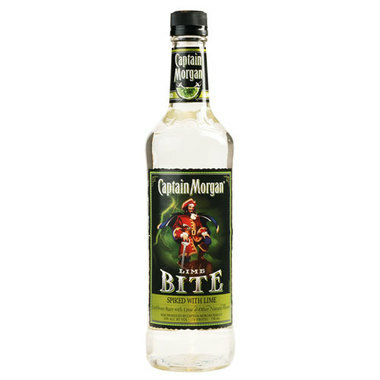 Introducing Captain Morgan ® Lime Bite, a silver lime-spiked spiced rum from Captain Morgan ®. Captain Morgan Lime Bite was specially formulated to taste great with beer or lemon-lime soda. Captain Morgan Lime Bite also tastes great with juice, cola or energy drinks. "Bite Your Drink!" with new Captain Morgan Lime Bite!